Dining rooms are now equipped with new and innovative dining table designs. 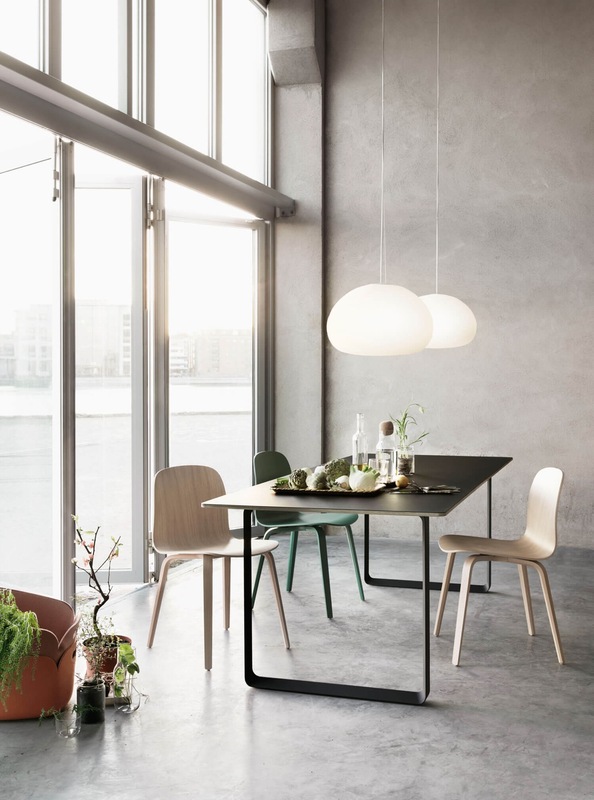 One such is the corner dining table design meant for a cozy dinner or lunch. Also, they are perfect for small spaces, since they are located in the corners, proper space utilization is done and hence less clutter. Below is a selective collection of corner dining table designs exclusively for you! 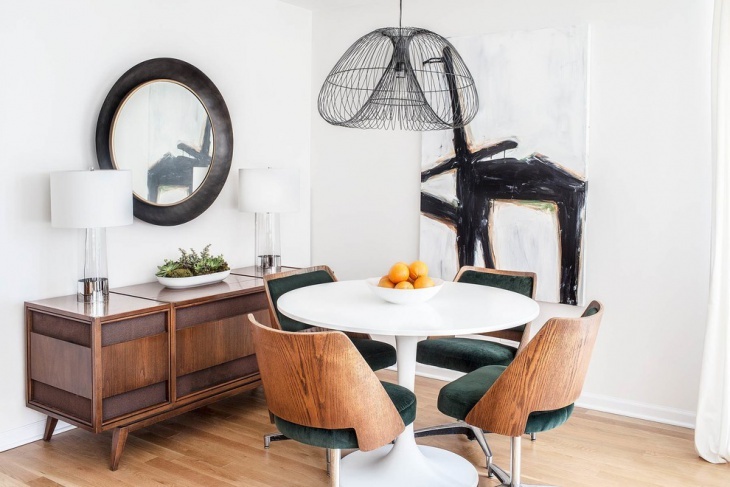 This is a round corner dining table inside a transitional dining room in an apartment. 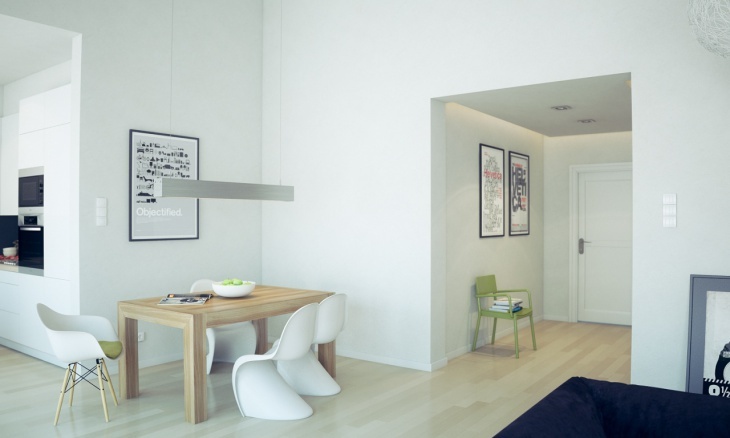 The theme of the room is white and black and so is the dining table with the black glass top and a white standing leg. 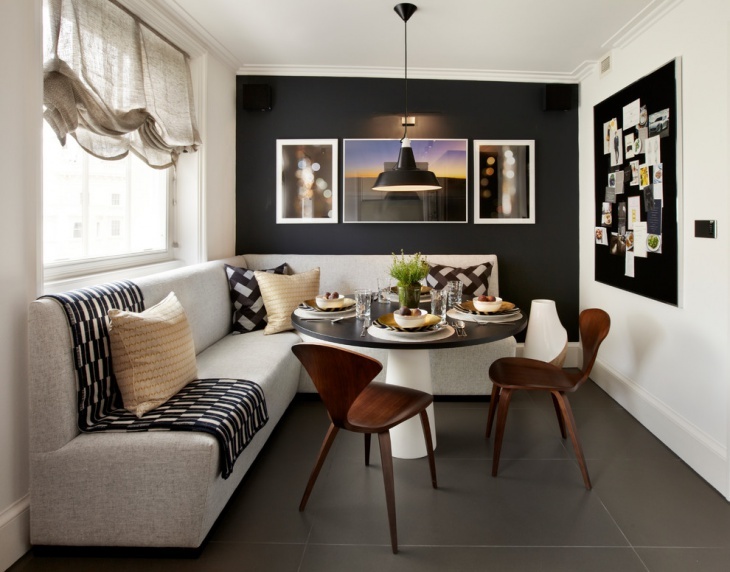 This is a very classy idea in a black and white color theme dining room. 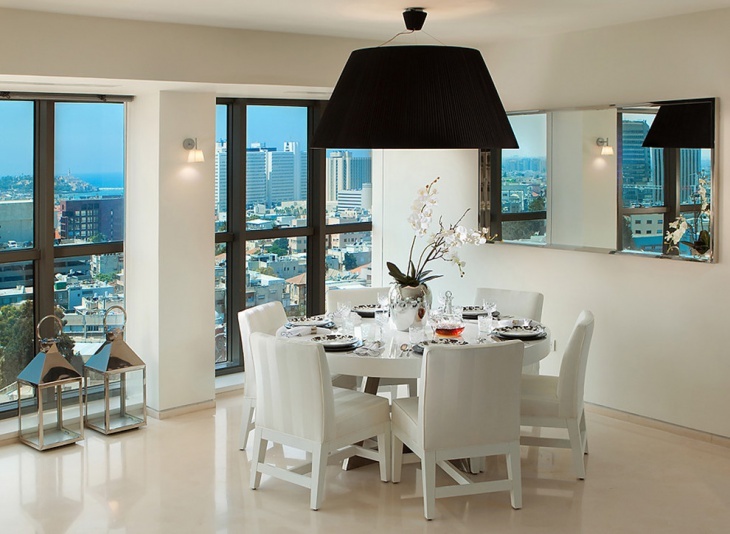 This white corner dining table in the contemporary room is very elegant and sophisticated. The dining table is white and in round shape, placed at the corner of the room along with matching white chairs. 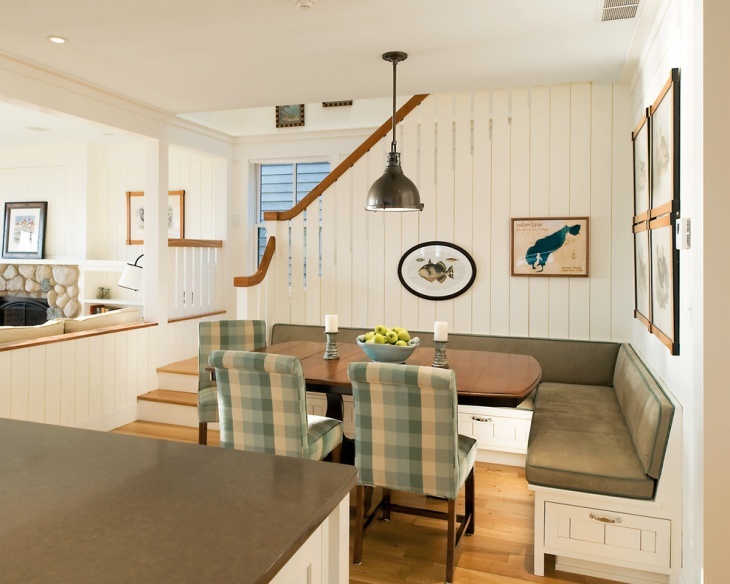 This dining room also features a large black drum shade ceiling fan. 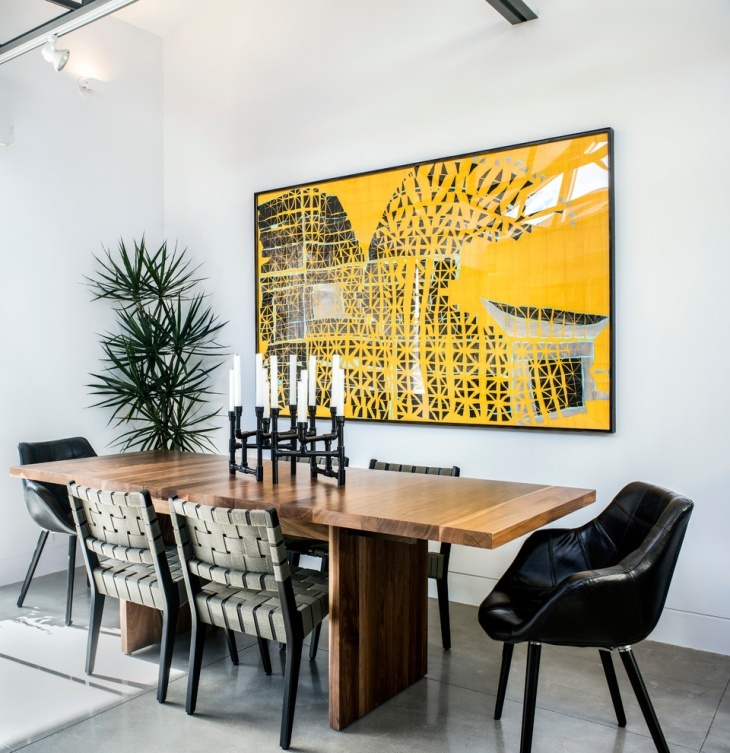 This dining table and chair set in the corner is a large rectangular wooden table in brown with black chairs is classy and minimalist. 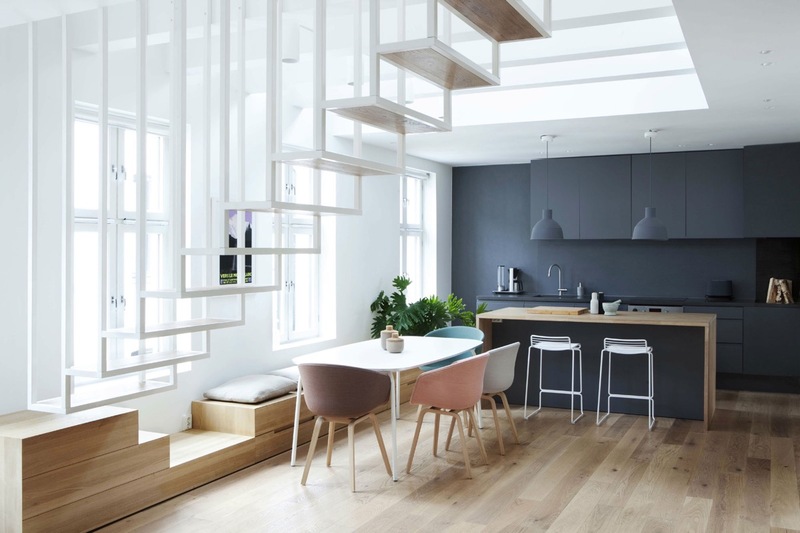 With hardwood light beige flooring and white walls, this is a lovely combination of dark and light embedded in one room. This is a traditional style dining table with a corner sofa instead of chairs. 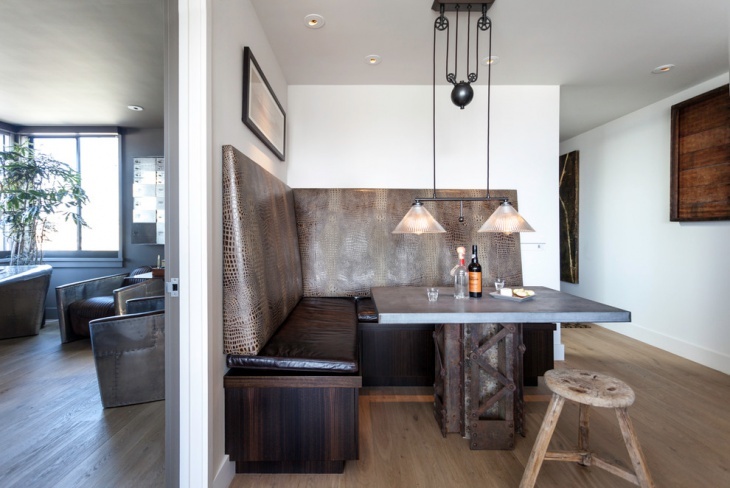 It features a round dining table with brown leather chairs on the two sides and a large sofa on the other with matching cushions and a white pendant light hanging from above the ceiling. This modern style corner dining table features two colors , that is black on one side and white on the other. It also features creative tile flooring and mismatched dining chairs. It has a minimalist décor with a wall clock on one side and a photo frame with a funky quote on another. 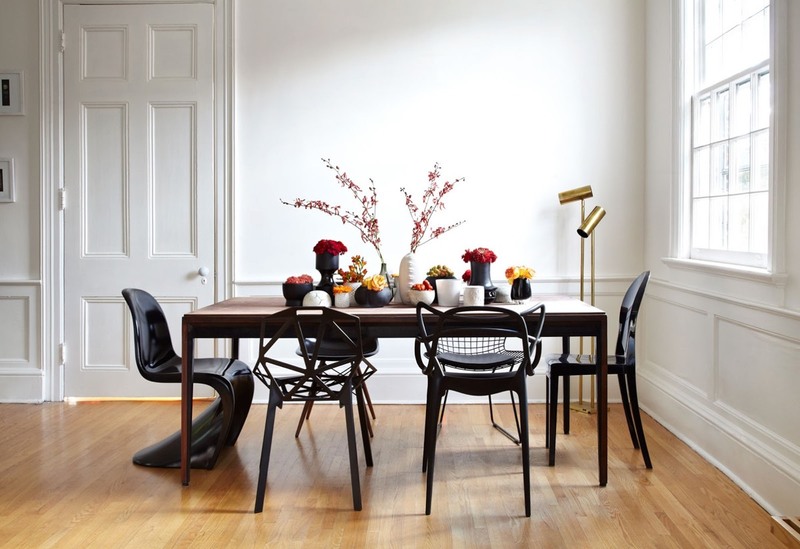 This is a corner dining table in a triangle shape, having a black matte finish with the triple clock chord design and paired with white chairs. 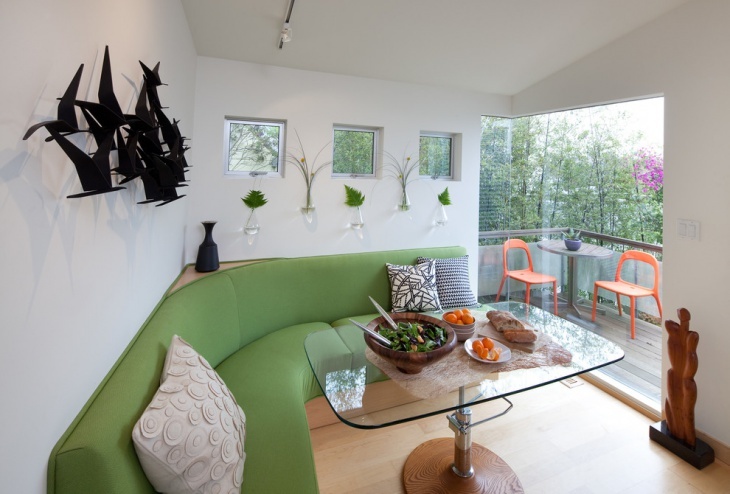 Since it is a corner dining table, the triangle design is perfectly suited here. Today, there are several creative designs out there when it comes to dining tables and that of the space saving ones are the corner dining tables. 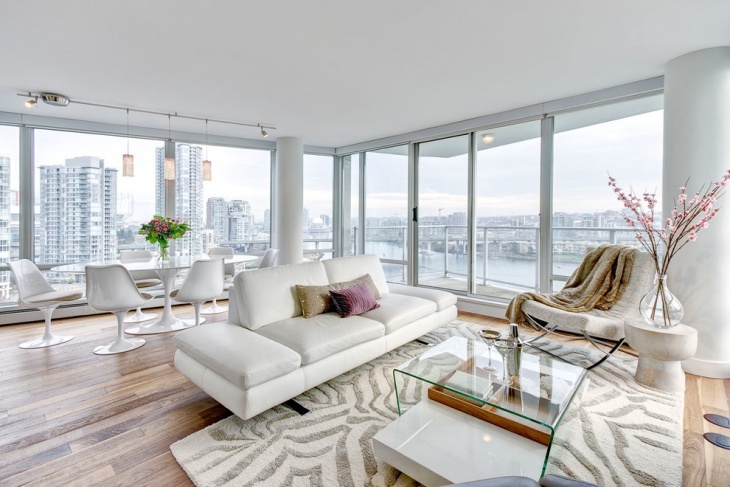 They save a lot of space, invite warmth and keep the space looking clean and clutter free.